Our used money transport vehicles are state of the art machines and are part of our line of used armored security vehicles that also includes bulletproof trucks, tactical trucks, used armored SWAT vans and SWAT trucks, prisoner transport vehicles, and more. Our used armored money transport vehicles come from names such as Ford and General Motors and feature advanced designs and superior engineering. We offer a host of used armored security vehicles from Ford, General Motors and more. Let us help you today. Used money transport vehicles from The Armored Group are amazing vehicles and one of the most popular items in our line of used armored security vehicles. 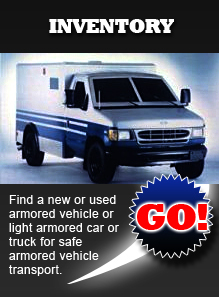 We also offer used armored SWAT vans, prisoner transport vehicles, SWAT trucks, and Ford and General Motors products. 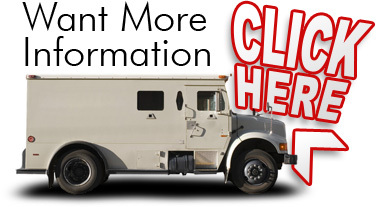 We can help you with your used armored money transport needs. Look to The Armored Group for your used armored security vehicles including bulletproof trucks, tactical trucks, used armored SWAT vans and more. And if you've got used armored money transport needs look no further. Our line of used money transport vehicles is second to none.